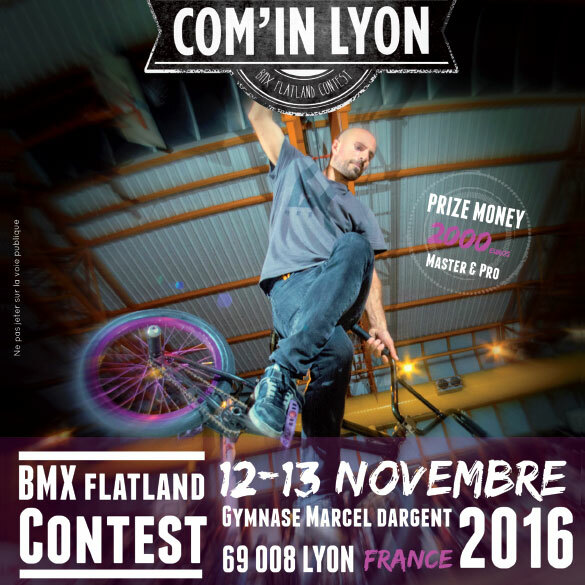 This year the Com'In Lyon is the final of the French Flatland Circuit. It's going to feature 4 categories: amateur, expert, master and pro with 2000 euros of prize money (pro and master) and a lot of goodies. With the registration you get free lunch saturday and sunday, free entry for a party with a concert on a barge with free beer. Sounds good? See you in Lyon on the weekend of November 12 and 13.